A walrus basks in the summer sun of Kalgin Island in Alaska’s Cook Inlet. Odobenus, the genus name of the walrus, means “tooth-walker,” a reference to its enormous tusks. Although agile in water, they are clumsy on land and must use their flippers for locomotion. These huge mammals also have prodigious appetites, eating as much as 130 pounds of shellfish daily. 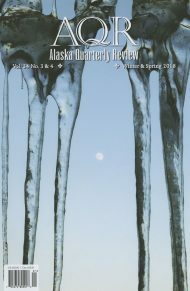 Patrick Roscoeis a frequent contributor to>Alaska Quarterly Review. A Canadian author of five books of fiction, his stories have twice won the CBC Literacy Competition and have been included in Best Canadian Stories. His recent novels include The Lost Oasis and The Truth About Love. Doris Dorrie is a German writer and filmmaker. She has published six collections of short stories, has written and directed seven feature films and 25 documentary films, and has won the German National Film Award for cinematography five times. She lives in Munich. Translator Gustav A. Richar is a Canadian editor and writer; his short story collection, Cloud Lake, was published in 1997. 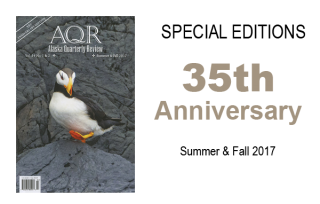 Amber Dorko Stopper has been a frequent contributor to Alaska Quarterly Review. Her stories also appear in the Northwest Review and The Whole Story: Editors on Fiction. Ellen Cooney is the author of three novels (Small Town Girl, All the Way, and The Old Ballerina) and numerous short stories that have appeared widely in such magazines as The New Yorker, Glimmer Train, and Ontario Review. David Means is the author of a collection of stories titled A Quick Kiss of Redemption (William Morrow). His recent stories appear in Harper’s Magazine, Open City, and The KGB Bar Reader. Brian David Mooney’s recent stories appear in American Fiction: The Best Unpublished Short Stories by Emerging Writers, The Seattle Review, and Third Coast. Mary Elizabeth Ilg was the winner of the 1998-1999 Loft Mentorship Award in Fiction. “A Thing So Clear” is her first publication. Danielle Sosin’s first collection, A Garden Primitive, is forthcoming from Coffee House press. “The Only Course” is her first published story. 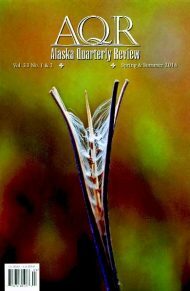 Catherine Sustana’s recent stories appear in Quarterly West, The Crescent Review, Calyx, and Crazyhorse. 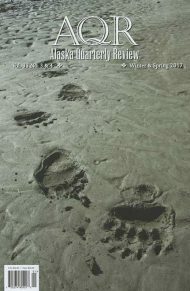 Allen Learst’s recent stories appear in Ascent, Midland Review, The Literary Review, and War, Literature & The Arts. Sarah Shun-lien Bynum is a student in the Iowa Writers Workshop. “Talent” is her first published story. 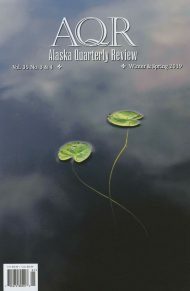 Lisa Baker’s recent stories appear in Quarterly West, Puerto del Sol, Confrontation, Epoch, and in the anthology Crossconnect: Writers of the Information Age. Emily Hammond is the author of a short story collection, Breathe Something Nice, and a novel, The Milk, to be published in 2001. Sherry Simpson’s essays have appeared in a range of magazines and anthologies, including Another Wilderness and American Nature Writing. 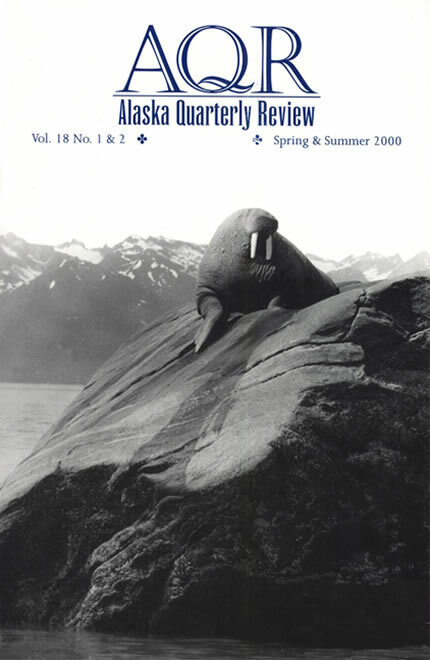 Her collection of essays, The Way Winter Comes (Sasquatch), was published in 1998. 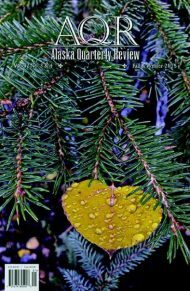 Nancy Lord’s books include Green Alaska: Dreams from the Far Coast, Fishcamp, and two short story collections. She is also a regular commentator for National Public Radio’s Living on Earth. Eric Wallace is an Emmy Award-winning broadcaster who lives in Anchorage, Alaska. Syd, his first published play, is loosely based on the life of Sydney Mortimer Laurence (1865-1940) pioneer Alaskan landscape artist. His paintings, including many magnificent images of his most popular subject, Mt. McKinley (Denali), are held in public and private collections throughout North America. Syd was produced in the summer of 1999 by the Eccentric Theatre Company and performed at the Edinburgh Fringe Festival in Scotland, at the St. Ives Arts Club in Cornwall (where Laurence was a charter member in the 1890s), and at Cyrano’s Off Center Playhouse in Anchorage. Stephen Dunn is the author of ten books of poetry. 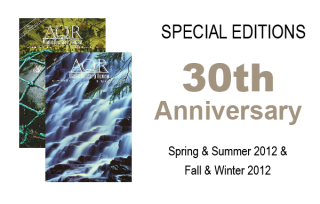 Riffs and Reciprocities: Prose Pairs was published by W.W. Norton in 1998. George Keithley is the author of seven books of poetry. His epic, The Donner Party, has been adapted as a stage play and an opera, and his collection, Song in a Strange Land, received the Di Castagnola Award from the Poetry Society of America. Mary Cornish is in the MFA program at Sarah Lawrence College. Ellen Bass is the author of For Earthly Survival, which won the Elliston Book Award from the University of Cincinnati Press. 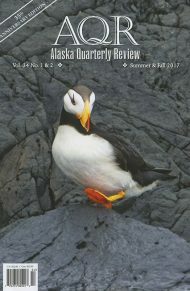 D. Rodman Walker’s poetry has appeared in The American Poetry Review, The Berkeley Poetry Review and elsewhere. A second chapbook, Both Ends of a Life, will be published this year by The Phoenix Press. Lorene Lamothe’s poems have appeared in Hayden’s Ferry Review, Oxford Magazine, and Phoebe. Daniel Bourne’s work has appeared in The American Poetry Review, Partisan Review, and other journals. His books include The Household Gods (Cleveland State University, 1995) and On the Crossroads of Asia and Europe (Salmon Run Press, 1999). He teaches at the College of Wooster where he edits Artful Dodge. Joseph Millar has poems in recent issues of Ploughshares, Shenandoah, Double Take, and New Letters. Henry Taylor’s latest collection of poems is Understanding Fiction: Poems, 1986-1996 (LSU Press). His book, Flying Change, won the Pulitzer Prize for Poetry in 1986. He co-directs the Graduate Program in Creative Writing at American University. Robert Wrigley was recently awarded the Howard J. and M.J. Wood Prize from Poetry. His new book is The Reign of Snakes (Penguin, 1999). Ron Houchin’s poems have appeared in a variety of journals in the United States and Ireland. His first collection was published by Salmon Poetry, Ireland, 1997. Wesley McNair’s most recent volume of poems is Talking in the Dark. J. Allyn Rosser’s first book of poems, Bright Moves, won the Morse Poetry Prize and was published by Northeastern University Press. Tomaz Salamun’s books translated into English include Selected Poems (Ecco Press) and The Four Questions of Melancholy (White Pine Press). Eamon Grennan teaches at Vassar College. His Relations: New and Selected Poems was recently published by The Graywolf Press. His volume of translation, Leopardi: Selected Poems (Princeton, 1997), received the PEN Award for Poetry in Translation. Gray Jacobik’s The Surface of Last Scattering received the X.J. Kennedy Poetry Prize and was published in 1999 by Texas Review Press. Wally Swist is the author of The New Life (Plinth Books, 1998). His haiku appeared in The Haiku Anthology (W.W. Norton, 1999). Ron Koertge’s latest book of poems is Making Love to Roget’s Wife (University of Arkansas Press, 1998). Sam Turner has received the 1998-99 Bronx Council on the Arts BRIO Award for Poetry. Michael Fitzgerald, who studied at the Iowa Writers Workshop, is the author of eleven books of poetry, non-fiction, and children’s literature. Susan Berlin’s poems have appeared in Mudfish, Ploughshares and other journals. She has twice been nominated for a Pushcart Prize. Mark Halliday directs the Creative Writing Program at Ohio State University. His new book is Selfwolf (University of Chicago Press). Jack Granath lives in Kansas City and is a regular contributor to the Rain Taxi Review of Books in Minneapolis. This is his first published poem. 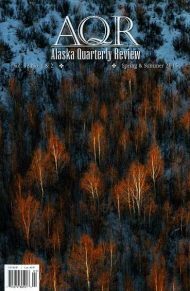 David Axelrod’s work has appeared or is forthcoming in Alkalai Flats, Pleiades, Talking River Review and other journals. He has published one collection of poems, Jerusalem of Grass (Ahsahta) and is a former recipient of the Carolyn Kizer Poetry Prize. 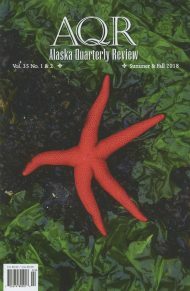 Dan Brown’s work has appeared or is forthcoming in Poetry, Partisan Review, Poetry Northwest and other journals. He was awarded a 1998 Pushcart Prize, and his collection, Matter, is available from Crosstown Books. Rick Pernod, director of “Poetry at the Poor Mouth,” has work forthcoming in The American Book Review and Poetry in Performance. Victoria Redel is the author of a story collection, Where the Road Bottoms Out, and a collection of poems, Already the World. She teaches at Sarah Lawrence College. David Simpson’s poems have appeared in Washington Square and Dialog. Thea S. Kuticka’s poems have appeared in Alligator Juniper and Timberline. Hillel Schwartz’s work has appeared in Beloit Poetry Journal, RE:AL, and other journals, as well as in the new anthology, Prayers for a Thousand Years (Harper, 1999). Stephen C. Behrendt has published two collections of poems, Instruments of the Bones (1992) and A Step in the Dark (1996), both from Mid-List Press. He teaches at the University of Nebraska. L.S. Asekoff has published two books of poetry, Dreams of a Work and North Star, both with Orchises Press. He coordinates the MFA Poetry Program at Brooklyn College. Anthony Libby’s poems have appeared in The Southern Review and The Antioch Review. His chapbook, The Secret Turning of the Earth, was a winner in the Wicks Poetry Contest. He teaches at Ohio State University. Carl Dennis’ most recent book is Ranking the Wishes (Penguin, 1997). He teaches at the State University of New York at Buffalo. Cindy Milwe’s work has appeared or is forthcoming in The William and Mary Review, Limestone, Poetry Digest, The New York Quarterly and other journals. She teaches at Santa Monica High School. Douglas Goetsch’s latest collection is Nobody’s Hell (Hanging Loose Press, 1999). Marc Petersen teaches at San Jose State University. Vincent Cioffi’s work has appeared in Ploughshares, The Iconoclast and other journals. He is a 1999 Stegner Fellow at Stanford University. Jo Sarzotti teaches at the Julliard School and Columbia University..
Nick Conrad’s work has appeared in Cumberland Poetry Review, Kansas Quarterly, The Literary Review, and other journals. He was a runner-up in the Cheltenham Poetry Contest and a semifinalist in the “Discovery”/The Nation Contest. Steve Fellner is an MFA student at the University of Alabama. His poems are forthcoming in The Mid-American Review and The Greensboro Review. Dorianne Laux is the author of two collections from BOA Editions, Awake and What We Carry. She is co-author, with Kim Addonizio, of The Poet’s Companion: A Guide to the Pleasure of Writing Poetry (W.W. Norton, 1997).